Well, the day has arrived for Montana residents: it’s Election Day. They will decide whether Democrat Rob Quist or Republican Greg Gianforte will succeed former Congressman Ryan Zinke, who left his elected position to become the secretary of the interior in the Trump administration. Mr. Quist had had some campaign hiccups on the trail, namely the misreporting of his income on tax forms and the fact that he failed to pay taxes for nearly a decade are same of the major one. 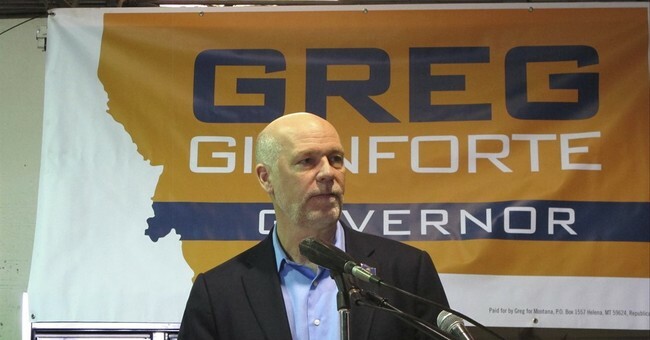 Yet, any campaign error was topped last night by Republican Greg Gianforte, who body slammed The Guardian’s Ben Jacobs in Bozeman during a meet and greet campaign event. Jacobs was merely asking Gianforte his thoughts on health care now that the CBO score was released. Annoyed by the question audio recordings captured the physical altercation. “I’m sick and tired of you guys! The last guy that came in here did the same thing. Get the hell out of here!” screamed Gianforte. The Republican candidate in a hotly contested special House election in Montana was charged with assaulting a journalist on Wednesday at what was to be a final rally in Bozeman on the eve of the vote. The attack brought police officers to the event and sent the reporter to the hospital for X-rays. In a statement late Wednesday, the office of the Gallatin County sheriff, Brian Gootkin, said there was enough evidence to charge the candidate, Greg Gianforte, with misdemeanor assault. Mr. Gianforte, the Republican candidate for the state’s lone House seat, is scheduled to appear in court before June 7. It was an extraordinary development in a race that was already being closely watched for clues about the national political environment in the tumultuous first months of the Trump presidency. Three of the state’s largest newspapers, The Billings Gazette, The Missoulian and The Helena Independent Record, quickly rescinded their endorsements of Mr. Gianforte. But prospects that the altercation could tip the race to the Democrat, Rob Quist, were complicated by Montana’s early-voting tradition: Over half the estimated total ballots in the contest had been returned by Wednesday. If convicted, Mr. Gianforte faces up to a $500 fine, or six months in jail, or both. Mr. Quist responded to questions about the incident as one best answered by law enforcement. The Times added that the Democratic Congressional Campaign Committee called on Mr. Gianforte to withdraw from the race.